After a loooong month packed with holiday festivities and lots of treats I am happy to share something that is NOT from the dessert table. 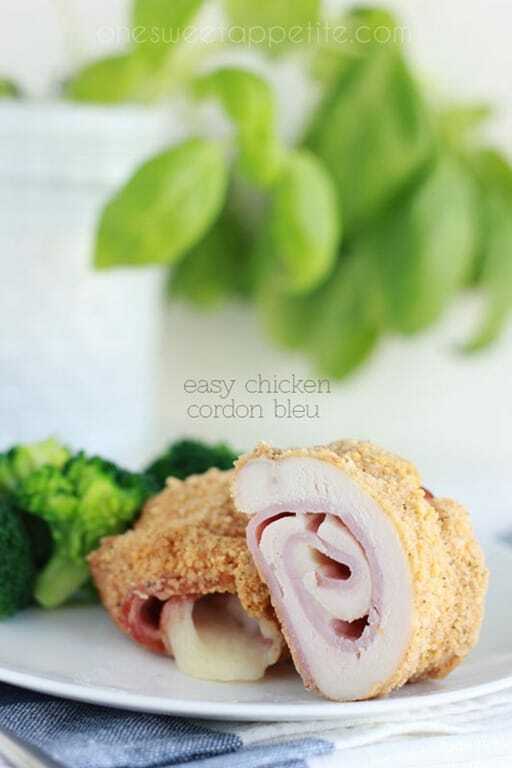 This recipe for easy chicken cordon bleu is the perfect dish for busy weeknights. It has only 4 ingredients. F-O-U-R. It really does not get easier than that. 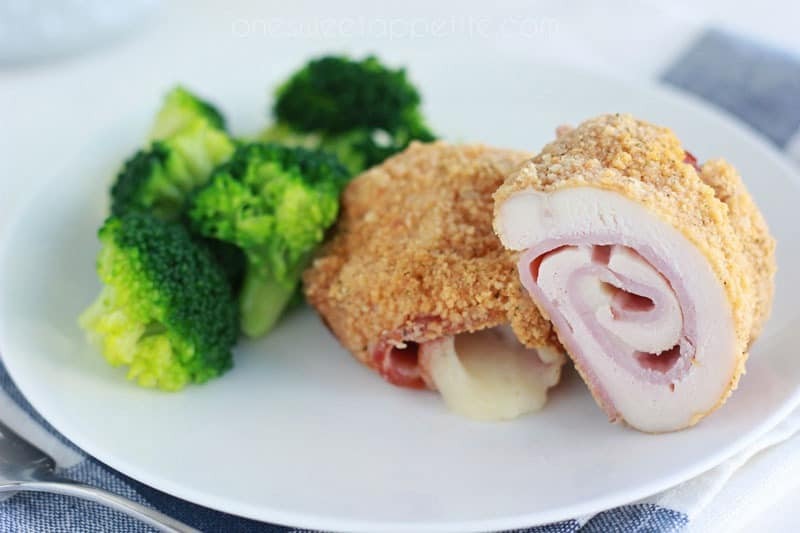 Another great reason that I love this recipe is that it is freezer/ budget friendly. Three chicken breasts stretch into six portions. Gotta love a dish that saves you money and tastes delicious. Ham and chicken really go together like peanut butter and jelly… But they taste oh-so much better. 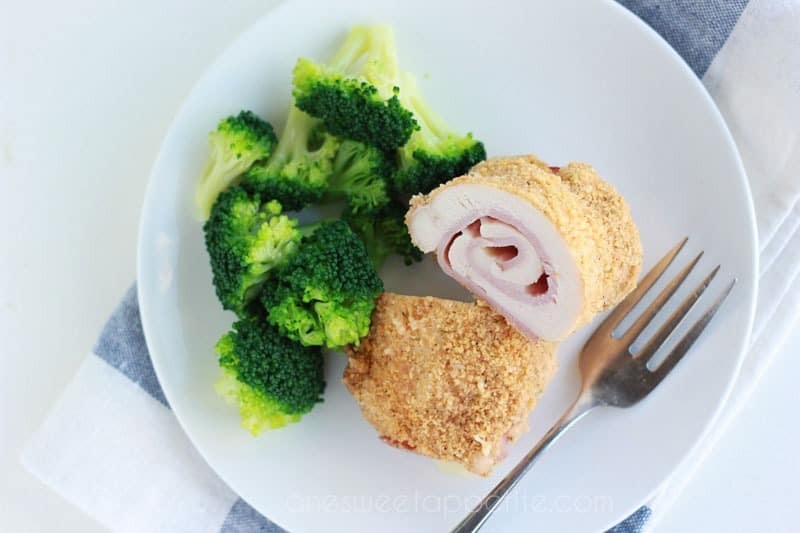 Serve this with honey mustard, chicken gravy, or extra cheese smothered on top. If you are making this for the freezer you will want to place one breast in a small tin loaf pan before baking. Cover with double foil and freeze. When you are ready to cook just follow the directions below. Enter one chicken breast into a large Ziploc bag. Pound until very thin. Slice the flattened chicken in half length wise. Take one half of the breast and lay flat. Layer one slice of ham and two slices of cheese on top. Roll (sushi style) until the chicken is completely covering the ham. Roll in the shake and bake and place in a baking dish. Bake 40 minutes or until the chicken reaches the correct temperature. 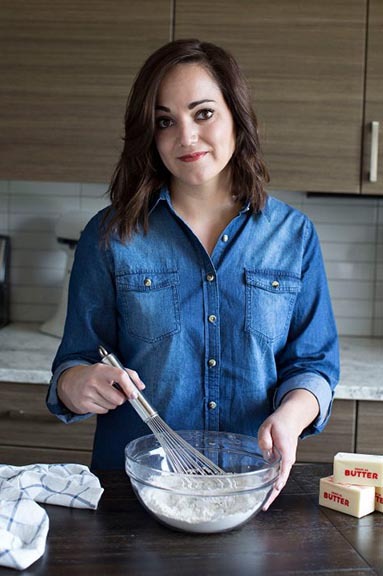 * If shake and bake isn’t your thing you can always substitute with 1 cup of bread crumbs, crushed Ritz crackers, or even Cornflakes. Mix in 1 tablespoon of Italian seasoning for a little added flavor.